Zack Moss was back home in the warmth of South Florida, still searching for the answer to the question he couldn’t avoid. It was Christmas break, and the Utah running back found solace in knowing the biggest decision of his young life needed a resolution. He made up his mind a few days before Moss boarded a cross-country flight to stand on the sidelines inside Qualcomm Stadium in San Diego, Calif., to watch his team in the Holiday Bowl. His career at Utah wasn’t going to be defined by the most untimely of injuries. No, it was going to be determined by Moss himself and the 2019 Utes. On Monday, the football program announced that Moss was one of four juniors to skip the upcoming NFL Draft and return for their senior seasons. That put to bed months of speculation of whether or not No. 2 was done bulldozing defenders, done stiff-arming would-be tacklers, done waltzing into the end zone for another touchdown. Zack Moss, to the surprise of so many, is coming back. And his sights are set sky-high, on the school’s all-time rushing record, on a repeat Pac-12 South title, on what would be a history-making first Pac-12 championship, and potentially a bouquet of roses come Jan. 1, 2020. In announcing that he was coming back, Moss mentioned the Utes had unfinished business. No player proved to be as vital in 2018 as Moss, who rushed for 1,092 yards and 11 touchdowns in nine games before suffering a season-ending knee injury in early November. The injury stemmed from a pre-existing condition and required surgery. His career at Utah is already stellar, but there are records he wants to own. Moss is 573 yards shy of Utah’s all-time rushing record held by Eddie Johnson who rushed for 3,219 yards from 1984 to 1988. During the decision-making process, Moss received feedback from the NFL on his potential draft position, but ultimately decided that coming back for his last year of college football was going to be more beneficial. Moss said his knee is improving, but it’s not yet 100 percent. He’s expected to return to the field this spring. At the time of the injury, Moss was dominating Pac-12 defenses. Instead of questioning why, Moss said he actually viewed the unfortunate timing as a positive. The injury gave him more time to think about finishing out his collegiate career the way he always wanted, not to mention earn his college degree. Utah fans, coaches and teammates certainly weren’t at the time, but now are all elated. 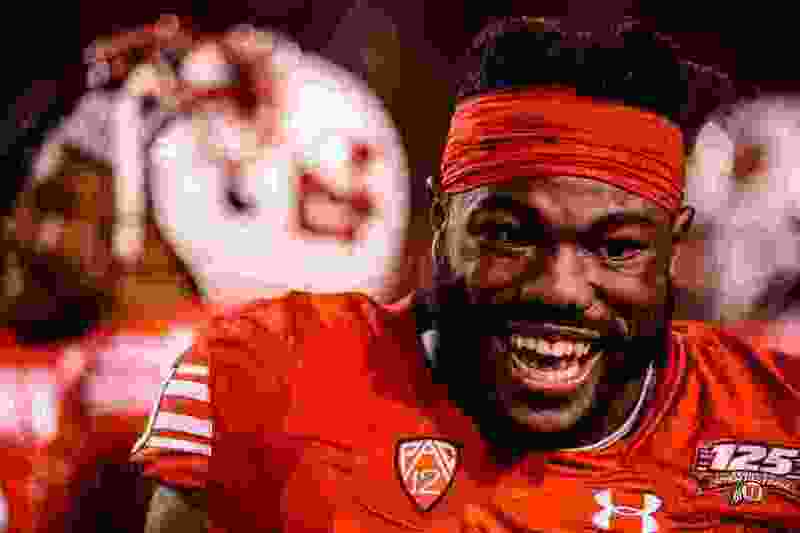 The running back whose rushed for 2,651 career yards and 23 total touchdowns is back for one last go with a team he believes has all the makings to forever alter the outlook of the Utah football program. He said, “I didn’t want to skip on that."